Who Will Be Running the Show? According to a Chinese legend, one day during some dynasty or other, Buddha called all 12 major animals together for a race. The Rat not only won the race, he was probably canny enough to ride on the Ox's back in order to assure his victory. Oxen tend to be slow, but they are steady and plodding. We all know from our own legend about the Tortoise and the Hare that steady plodding wins the race. You won't find many steady plodders among the Rat population. "What? You tell me I'm a Rat. Yucko! Gross. No way!" Nobody wants to be a Rat. Apparently, they'd rather be something less revolting. Rats don’t benefit from an elegant reputation in our occidental, urbanized society. But think for a moment of the clever farm rat. It is this rat: the collector, the hoarder, the deft and admirable country rat, whom Buddha honored. This rural rat is, to this day, a scrounger for food, finder of warm places to nest and a procreator par excellence. Let us then put aside our base image of the repellent city rat and concentrate on the characters of his artful country cousin. The key adjectives to use to describe Rat people are charming, assertive, protective and relentless. Rats go whole-hog for what they are after and they never give up. You’ll never meet an unattractive Rat. They may not be classically handsome, but they ooze allure. Neither will you find a Rat person who doesn't seek to achieve and succeed, stand out from the crowd and even assume power over others. Rats are go-getters. They are born with leadership qualities and a hefty measure of guile. For the Rat, the ends frequently justify the means. Rat people usually appear calm and at ease in company. They’re talkative (to a fault sometimes) and make pleasant conversationalists. But take a closer look. That Rat has a rubber band in his hand which he incessantly snaps back and forth between two fingers. The Rat woman keeps wiggling the fastener on her bracelet. Rats only seem tranquil. Inside, they are like nuclear reactors: churning, bubbling, twisting and steaming. Rats seethe and sizzle. But they never—or rarely—explode. 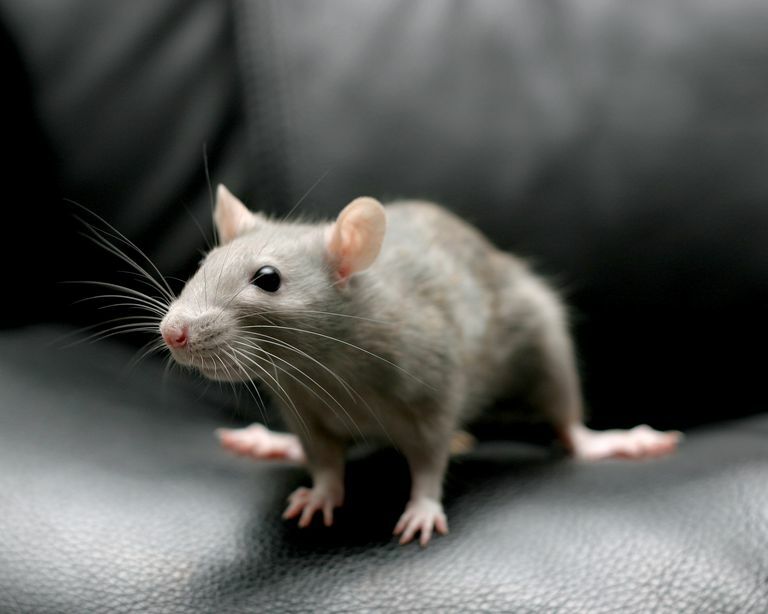 Rats are not only stashers of food, they have a well-developed sense of economy. They know where their money goes and for which frivolities they are willing to spend lavishly. Parties and gatherings of all sorts please the Rat. In fact, any chance to communicate is seen as a joyful occasion. Rats love—no, need—to talk. If Rats have problems, they talk them through. If they are depressed, they blab it out. If they lose a lover, they can only cure themselves of heartbreak by exposing the whole gory story until the listener’s ears are red with compassion and the Rat has emptied his despondent soul. If you have a gabby Rat crony, keep your iPod handy and pump up the volume. If you are loved by a Rat, consider yourself lucky. Rats will fiercely defend and cheerfully spoil the people they care about. But outsiders don’t count. The Rat wants to be surrounded by those who like and admire him. He will lavish presents on them and feed them all till they burst from admiration. Loyal companionship is the Rat’s idea of contentment. Rats are not necessarily high-minded. Nor are they artistic dreamers. But they are wily and intelligent. And they are often gifted -- too clever by half. They make excellent lawyers and executives. Too, Rats dabble more than a little in politics. They crave power. Richard Nixon, Jimmy Carter, George Bush Sr. and John McCain -- Rats to a man. And they know how to use their brains with words. In the world's Rat Pack, you will find all manner of highly talented writers, composers, singers, actors, and actresses. Rats are not infrequently found meddling in other peoples’ business. They are intensely curious and can become overly involved in the lives of friends and neighbors. They cannot be termed "busybodies" -- but almost. Rats also delight in the running of committees and will gladly take over the administration of a board of directors. Rats will not usually volunteer to be on the cleanup committee. Nor are they apt to beg to decorate the church crypt for the charity bazaar. They may tell you how they want it done. But they are not about to actually DO the decorating. No. It’s power that Rats are after—power and influence and lots of praise and kudos. Rats too are marriers. They crave security and need to be attached. They hoard money and foodstuffs in secret places so they will never be caught short of either. Show up unannounced at her place, the Rat will feed you well. But don't try to borrow any money or expect to be treated to lavish meals at the Four Seasons or the Ritz. Rats are much more conservative than their splendid surroundings would have us believe. How Does Chinese Astrology Work? Read Your 2016 Year of the Monkey Horoscope! What is a teenage Scorpio like? What Are Capricorn Moon People Like?